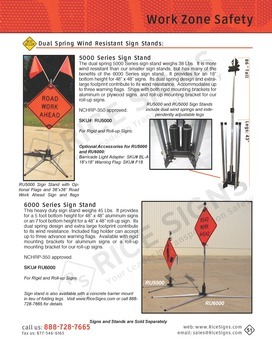 This portable sign stand consists of a molded rubber base and a 6 foot steel upright. The total weight is approximately 45 Lbs. 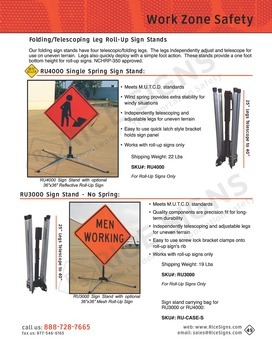 Any rigid aluminum sign may be mounted to the pre-punched square steel upright. 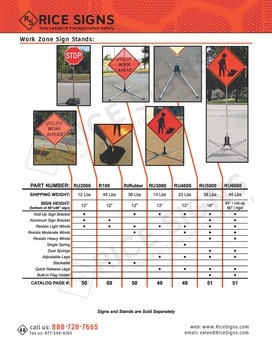 Allows for multiple signs to be installed. 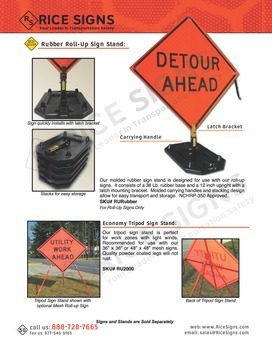 Perfect for temporary signage, parking lots, or traffic control.